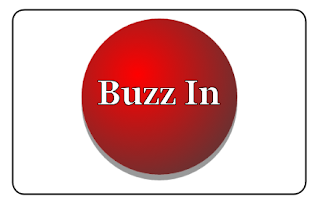 Buzz In is a buzzer / clicker to use in the classroom. Great for classroom games, the free version will allow you to see who clicked first. The paid version adds a Text Box, Select or Check Box question that can be completed when they Buzz In. After launching the Flippity Add-on, I was asked by a teacher if I knew of any buzzer tools that could be used with it. After some research I didn't find anything that I really felt worked well, so the Buzz In add-on was born. I decided to release this as a free/paid add-on. The free version is just a buzzer to find out who chose first. The paid version adds assessment to the buzzer so that teachers can get feedback from the students. I can see this being used for impromptu tests, lunch counts, topic selection, and more.